Fiber U Training Conference For Africa? 4 New FOA YouTube Videos! 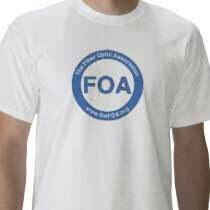 : New FOA Lecture Series - 11 lessons online already! 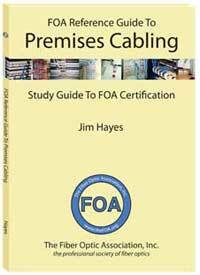 Renew your FOA certification online - plus get a discount coupon for the new FOA books and get an extra month free. Details here. Some of you may remember the famous "Fiber U" training conferences of the 1990s where dozens of vendors and hundreds of students converged for a week-long training conference. 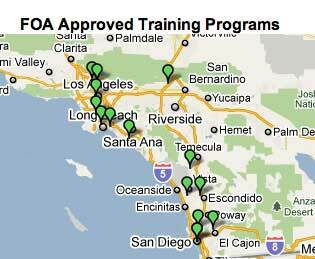 Now Fiber U is part of the FOA. This year we've been invited to work with OSP magazine to present seminars at their annual conference. 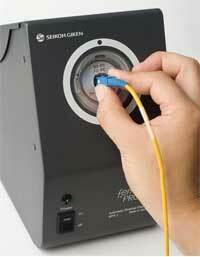 We'll have sessions on Fiber Optics in SmartGrid, Fiber for Wireless and Gigabit FTTH. OSP EXPO, September 13-14, 2011 will be held in Cincinnati, Ohio. 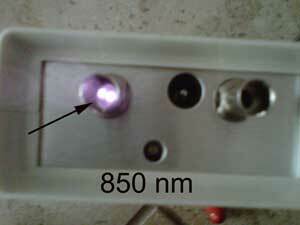 Four new lectures in our series on fiber optics are now online. 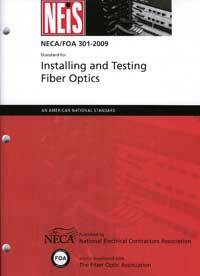 Lecture 8 covers fiber optic network installation. Lectures 9-10-11 cover fiber optic network design, with Lecture 9 being an overview, Lecture 10 covering planning the network and Lecture 11 choosing fiber optic components. 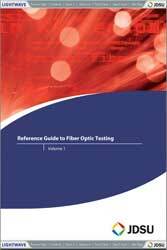 Lecture 12 will start a new series on fiber optic testing. After our enthusiastic reception in Turkey and Africa, we've had invitations to visit other areas. Right now, we are considering a trip to the South Pacific area - Australia, NZ, Malaysia and Singapore. 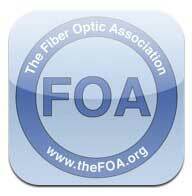 If you are interested in attending the FOA "State of Fiber Optics" seminar and meeting FOA personnel, let us know - email to info@thefoa.org. The current FOA schools in Africa ( Triple Play Fibre Optic Solutions in SA, African eDevelopment Resource Centre in Nairobi and ICT Resources Center in Lusaka) are actively training workers needed to expand communications in Africa. 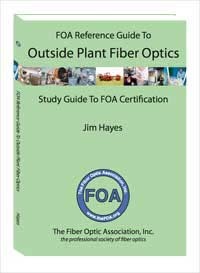 To assist their efforts, the FOA is looking at the possibility of a "Fiber U for Africa" in 2012, a major training conference that would bring experts and manufacturers from around the world to Africa to train workers on the latest technologies. Stay tuned. A group of US Universities has started an organization to encourage the development of high speed (gigabit) Internet access in their communities. They understand that the university can stimulate development in its community, but unless the community has the infrastructure - including communications - to support development, it won't develop. So these colleges have ganged up to promote the development of broadband. Read more at http://www.gig-u.org/. "Tech Puzzler" Is Back This Month! You read that right - 1 km of multimode fiber. This is the LAN equivalent of the thousands of km at terabits/s "hero experiments" we hear about from the telecom equipment companies all the time. 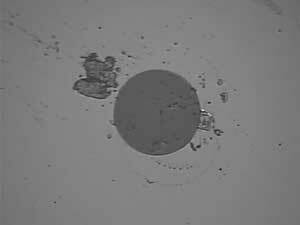 In this case, it was a new VCSEL developed by VI Systems with very narrow spectral width to reduce chromatic dispersion transmitted over the top-of-the-line Draka OM4 fiber in the lab at Technical University Berlin. It's impressive. Read More. 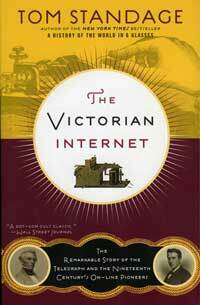 Professor Robert Atkinson of The Columbia Institute for Tele-Information has released an update to his Broadband in America report of 2009 which was used as the basis for the National Broadband Plan. The Columbia Institute for Tele-Information (CITI) is a university-based research center focused on strategy, management, and policy issues in telecommunications, computing, and electronic mass media. The report estimates that fiber to the home (FTTH) was available to about 15.2 million homes (homes passed) in March 2009, 18.2 million in March 2010 (an increase of 20 percent), and 21 million in March 2011 (an increase of 14.6 percent). In 2009, the largest provider of FTTH service, Verizon, announced that it would complete its FTTH deployment and be capable of serving 17 million locations by 2010. That means that 81% of all FTTH customers in the US are Verizon FiOS customers! The other 19% are served by over 700 other providers. The report is filled with useful and interesting information including Capex estimates and also has a complete listing of all announced broadband plans, useful information for contractors. Seminars will be held in Los Angeles, Chicago, Detroit, Ann Arbor, Boston, Canada. Corning is offering free 3 hour seminars on "Termination Technology" in over a dozen cities around the US in the coming months. The seminars focus on new termination techniques and will give attendees real hands-on training. You must pre-register for the seminars, and we recommend you do so soon as they will probably fill up quickly! 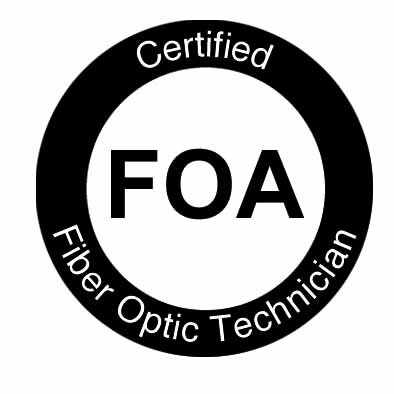 FOA is now offering corporate memberships to companies involved in fiber optics as manufacturers, contractors, installers, etc. Read more. Want to know more about OSP? There's OSP Magazine for that - and a trade show, OSPExpo, running this fall in Cincinnati. 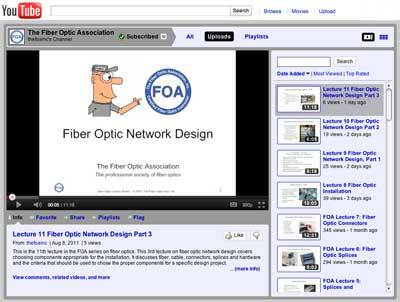 The FOA is dedicated to make technical material readily available to all those interested in fiber optics. For all 15 years of our existence, we've created reference materials in the form of printed textbooks and web pages. Now our Online Reference Guide has grown so large it needs it's own Google Search and we offer all three of our new books on the Amazon Kindle or Apple iPad/iPhone/iPod. Recently we started our own channel on YouTube and the response has been enthusiastic. So we've been adding more videos to YouTube, including a demonstration of how to use your cell phone camera to detect IR light in fiber systems and have started a lecture series on fiber optics. 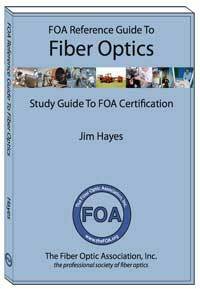 The first lecture is called "Fiber Optics and Communications" and FOA President Jim Hayes describes the many different uses of fiber in telecommunications, CATV, security, utility and many other networks. Lecture #2 is about Safety in handling and installing fiber. 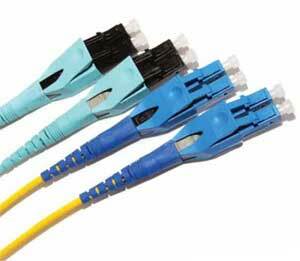 Lectures cover the basics of fiber and cable, termination and splicing, installation and testing. Watch for more. We seem to get more calls from Hawaii than just about anywhere because few schools offer fiber training there. Enulta is offering a CFOT course on Maui October 4-5, 2011. Contact Enulta for details. At Intel Research Day, the company demonstrated some of its silicon photonics technology for the first time. The goal of this work is to speed data transfer by replacing today’s electrical wiring with faster, more efficient fiber-optic connections. Video from MIT Technology Review. AFL is launching new Network Activation kits designed to support installation and commissioning of optical equipment in telecom, broadband and other single-mode optical fiber networks. These products are part of an expanding portfolio of AFL fiber optic kits that now include over 60 application-specific sets. Read More. Corning has introduced a boot for duplex LC connectors that allows rotating the connectors to change polarity on a duplex patchcord. If you have ever installed a system, you know how cool this is! 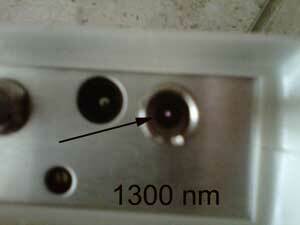 It has the name "Pretium EDGE™ Solutions Reverse Polarity Uniboot Jumper" and you should contact Corning for more info. At a recent Corning seminar, we had the opportunity to try their new Unicam Pretium cleaver, the FBC-007 ("007 - licensed to cleave"?). 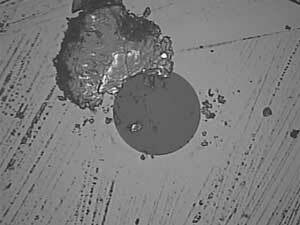 It's a major step forward in making cleaving a trouble-free process and should improve Unicam losses and increase yields. It is included in new kits but can be purchased as an upgrade. ASTS is excited to be working with a major company who requires OSP (Outside Plant Engineers) of varying levels of expertise and skill sets to work throughout the Southeast region of the USA. AT&T, BellSouth, BSTCAD, OSPCM, OPEDS permitting and FTTCS design on your resume will get you noticed. NO PHONE CALLS. DRIVER’S LICENSE, BACKGROUND/DRUG SCREEN MANDATORY. Please submit resumes to Alison.King@kbr.com. Superior Communication Services (SCS) is atop the premier communications contractors in the New England that provides a variety of communication services to commercial business applications. At SCS we specialize in the design and installation of structured cabling solutions we are now hiring experienced structured cabling technicians to full time positions at our Massachusetts location. Technicians must have a valid drivers license, basic understanding of cable pulling and basic knowledge of using hand tools; we are willing to train motivated and positive individuals. To learn more about this opportunity or to forward your resume, please contact me at scottsavard@scs08.com. We mention above the controversy over bend-insensitive fiber. What was it all about?